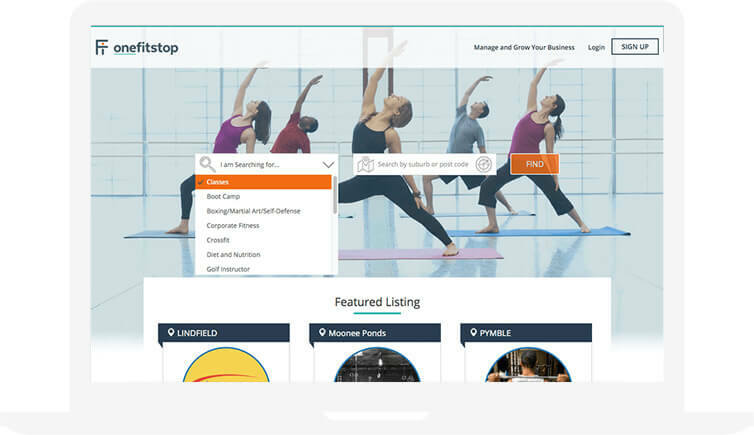 OneFitStop is the most complete business platform in the world for fitness professionals and businesses. Our customers continuously say we have a simpler and more effective tool than MindBodyOnline. I used to spend hours on my business, not in my business when I was using MindBody. OneFitStop has freed me up from all of that so I can now work in my business and grow it"
Do not waste your time and money adding on third party affiliates for basic business tasks. OneFitStop does it all and will save you money at the same time. Our global support team will be ready to whenever you need and we don’t just wait for you to contact us, we go the extra mile and reach out to offer support. It’s simple. We love the fitness industry and our focus is to give back to fitness businesses with a software catering only to our industry. 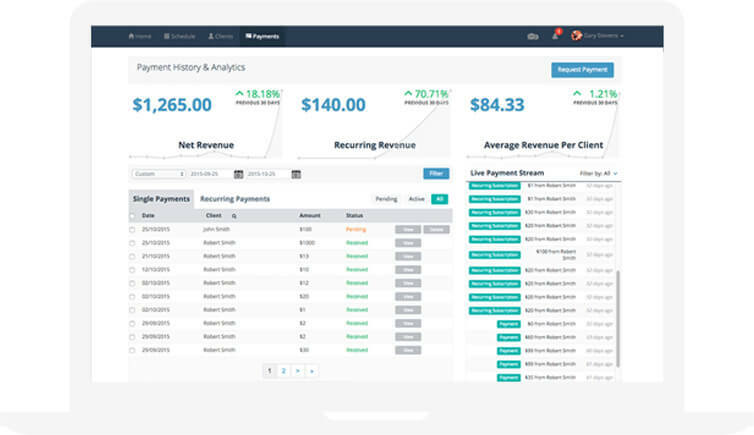 Imagine the thought of knowing how to use	an entire member management software within an hour? We know this may come as a shock but this is actually possible with OneFitStop! We let the product speak for itself. No lock in contracts mean that our service is pay-as-you-go. Without paying any third party embed service you can custom brand and embed OneFitStop into your website and Facebook page. Give your clients the personalized experience they deserve. OneFitStop will assist with all data transfer from MindBody. Our support teams will guide your business step-by-step throughout the seamless transfer. Visually keep up-to-date and ensure you and your clients never miss a session. Take your clients experience to the next level. 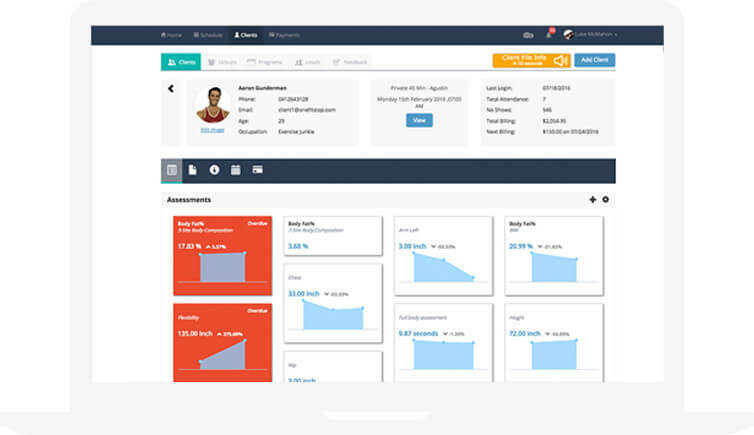 Client files that enable you to track and record everything fitness and management. Let's face it, there's nothing worse than chasing payments... The solution is clear, automate it! Growth tools for your fitness business. We are more than just a management software. It time to grow your business. Don’t waste your time on support calls, focus on you and your business. 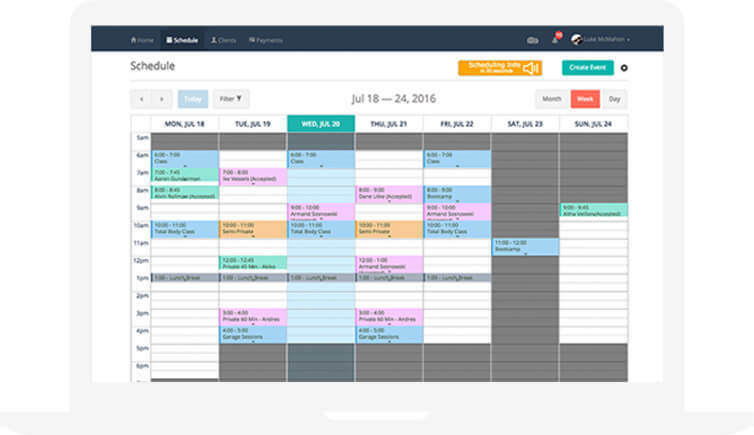 Don’t expose your clients and members via the MindBody App to other local business. We understand how to transfer information from MindBody to OneFitStop and guide you through the entire process.